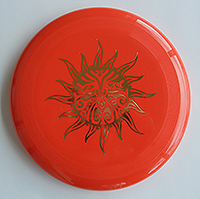 Welcome to our page of discs and other goodies available. To order, simply (or use our Contact Form by clicking here) with your order and we will reply to you ASAP. Gentil Sport is proud to be a Master Distributer for the RPM Discs brand. 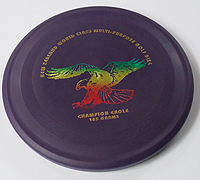 This range is designed and made by people passionate about Disc Sports and includes everything from your standard ‘Frisbee’ type disc to a selection of golf specific discs and lots in between. Portable and permanent Disc Golf baskets/targets are also now readily available. If you are a retailer, school, camp or other bulk buyer please talk to us about our wholesale pricing. 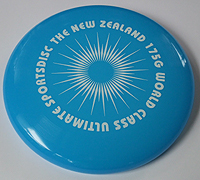 Below is our list of NZ discs and Disc Golf basket/targets available - to order, simply send us an email by clicking here with your order and we will reply to you ASAP with banking and shipping details. Prices include 15% GST but not shipping. Brief Description: The heavy Ripper is a good putt & approach disc. It’s weight makes it good for windy conditions and it’s texture gives you a sure grip in the wet. Best Choice for: Your short golf game and when it’s wet and windy. Brief Description: This is the light version of the Te Moko. The deep rim means it will feel more like a Frisbee type disc in your hand. The light weight gives it more float. Best Choice for: Curving a shot around an object. Great for throw and catch as well. Brief Description: This comes from the same mould as the light NZ Eagle. The deep Frisbee type rim means it will feel more like a Frisbee in your hand. The extra weight gives it good stability and is suited to your putt & approach game. Best Choice for: Flying a shot up to your target. Good for throw and catch as well. 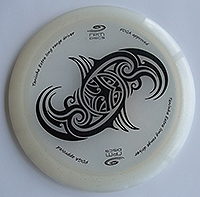 Brief Description: Good first golf disc for players still developing their arms. 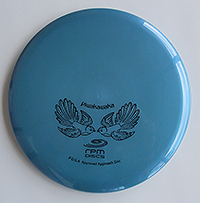 This disc can be used off the tee and to putt with as well. 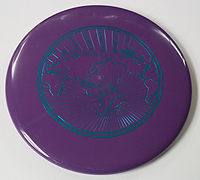 Best Choice for: Putt and approach and a friendly beginner Golf disc as well. Brief Description: This is Aotearoa’s answer to the Ultra Star. 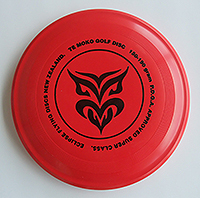 It’s the best throw and catch disc available in NZ. Every family should have one! Best Choice for: Ultimate. [The team game]. Freestyle and everyday throw and catch as well. Brief Description: The Ripper is a great beginner’s disc. If you wanted to buy the kids a first disc make it a ripper. Note that being light it will be wind affected. Best Choice for: A first disc. 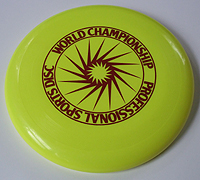 This is a genuine flying disc not a $2 shop piece of rubbish! There is a difference. 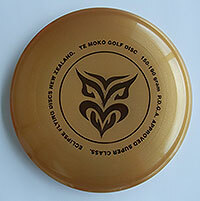 Brief Description: This comes from the same mould as the light NZ Te Moko. The deep Frisbee type rim means it will feel more like a Frisbee in your hand. The extra weight gives it good stability and is suited to your putt & approach game. Best Choice for: Flying an approach shot up to your target. Ideal for throw and catch as well. Brief Description: An excellent fairway driver. Good for controlled up-shots and maintained an-hyzer flight. Best Choice for: Straight fairway shots and accurate turnover shots. Brief Description: Aotearoa’s first professional level distance driver. Good for controlled distance off the tee and for players still developing their arms. Best Choice for: Downwind / No wind driving, flat an-hyzer shots, and power turnover shots. Permanent Disc Catcher Basket $560nz ea. Brief Description: These are made to exactly the same measurements as the PDGA world standard baskets but are way easier on the eye - works of art in fact - thanks to the design skills of top NZ player Simon Feasey. These are made a lot stronger than the portables and come fully assembled with a locking sleeve for concreting into the ground. 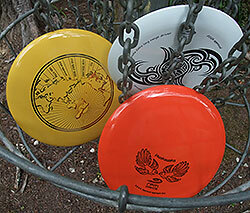 Best Choice for: Permanent Disc Golf courses. Contact us for discounted prices for 9 or 18. Portable Disc Catcher Basket $420nz ea plus freight. Brief Description: These are made to exactly the same measurements as the PDGA world standard baskets but break down into 4 pieces for easy transport. Best Choice for: Setting up temporary courses or for back yard putting practice.